This week kind of got a bit mixed up with attending two different dance recitals for two of our daughters-in-law. One does jazz, and one does highland dancing. Both recitals were terrific!! Here is my menu plan. Slice up two medium size onions. Break into rings. Cook bacon in large skillet until crisp, or however you like it. remove bacon to a plate and keep warm. Add onions to the bacon drippings in the skillet and cook, stirring often, until soft and translucent. Remove to plate to keep warm. Add a bit of cooking oil to skillet if needed. Place washed liver, that has been cut into serving size pieces, into hot oil and panfry until done. To serve, place a piece of liver on a plate, top with onions and a couple slices of bacon. Serve with Kraft Dinner, cooked according to box directions. Please note: this is the only meal that I serve with Kraft Dinner. Again, there isn't a recipe to follow. I just buy the perogies in the frozen food section of my grocery store. We like the potato and cheese ones. 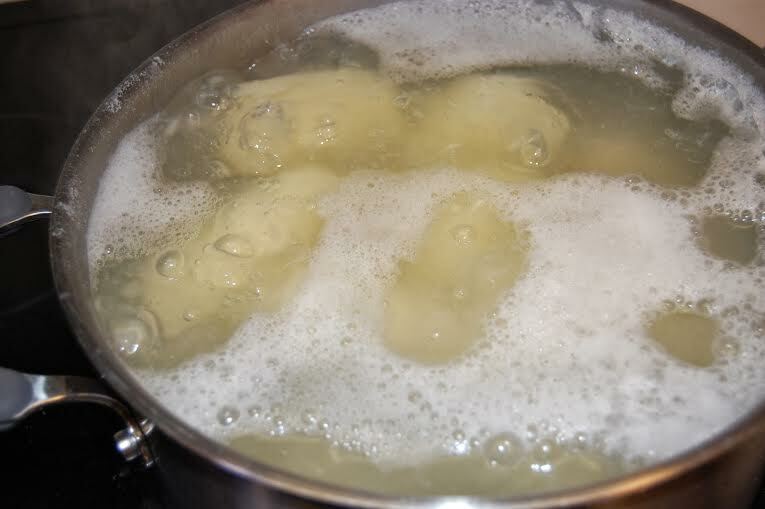 I bring a dutch oven of water to a boil, add a few perogies and when they float to the top, I scoop them out with a slotted spoon and add them to a skillet that has melted margarine in it. I fry the them until they turn golden and no longer stick to the bottom of the pan. Serve with sour cream, bacon bits and chives. Sometimes I will cut up some garlic sausage and pan-fry it to add to the toppings. Mostly it's bacon bits. 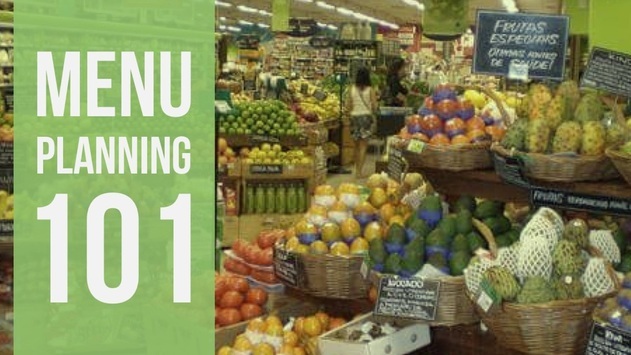 I like to grab one of these from my grocery store's deli. Our store has a coupon for the chicken, two small containers of salad of your choice and either a bag of dinner buns or a baguette. We like the bbq flavored chicken and I grab one macaroni salad and a potato with egg salad and the dinner buns. I also serve a coleslaw with this. Again, I grab a bag of ready-to-serve coleslaw mix and use our favorite coleslaw salad dressing to mix it together. This is another "eyeball" meal. I have made this so often that I just eyeball the amounts - no measuring. I use a standard white sauce. I melt about a 1/4 cup of margarine in a large pot (not dutch oven size), I add enough flour, a bit at a time, until the margarine is absorbed. Then I add 1 can of evaporated milk and 1 can of water and whisk it together. I will add fresh milk if I need more liquid. I stir this constantly. It scorches easily. To this I add a huge dollop of Cheez-whiz, and as much grated cheddar cheese as fits into the grater bowl. I will sometimes toss in a 1/2 cup of Parmesan cheese, and stir it all together until all cheese has melted. While I am making the sauce, I cook the macaroni noodles, then drain them when they are done. I put them into a roasting pan or casserole dish and pour the cheese sauce over top. Stir it well. Sometimes I will top it with a couple cheese slices, depending on how many slices are in the fridge. I cover it and pop it into a 350 degree oven for a half hour until the sauce thickens a bit more. Serve it with whatever you want. We usually just have it on it's own. Sometimes I serve it with a salad on the side and sometimes I will serve it with any leftover meat from earlier in the week and a veggie. This is a family favorite and we have been known to have it several times a month, especially on rainy days or cold winter days. It is our #1 comfort food. I used to buy the premade patties for our hamburger nights. But they don't compare with the homemade ones from my childhood, and so now that's what I use. Again, this is another "eyeball" recipe. I buy my ground beef in the large package and divide it up into four meal size amounts and freeze it in Ziploc baggies. When making my hamburgers, I use two of those meal size bags. When the meat is thawed out, I put it into a large mixing bowl and I add: ketchup, mustard, Worcestershire sauce, garlic powder, onion powder, an egg and about a cup of rolled oats. Mix it all together really well, don't over mix though as it causes the meat to be tough. Shape it into patties. Place on a greased baking sheet and bake in 350 degree oven for about 30 to 45 minutes. If I am going to throw them on the bbq, then I make the patties earlier in the morning and refrigerate them. They hold together better on the grill. I use the leftover chicken from Wednesday. Slice it up, put it on a slice of bread. Heat up some chicken gravy. (This is where those little packets of gravy mixes come in handy). Serve with a veggie or two.